I was watching a green heron stalk tiny air bubbles the other day. It stood up and ruffled its feathers for a bit. Shortly after that it flew away. Below is a watercolor pencil sketch (sans wash) of that ruffled moment. 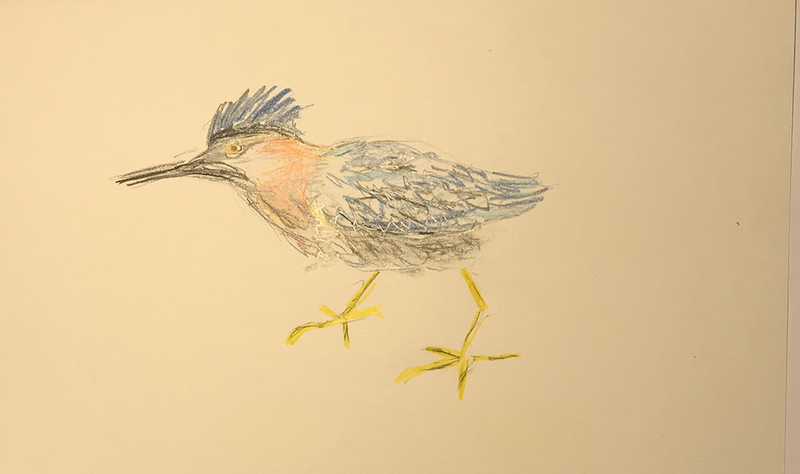 This entry was posted in Personal Stories and tagged art, bird watching, birds, colored pencils, creativity, drawing, green heron, pencil sketch, sketching, watercolor pencils. Bookmark the permalink.